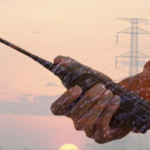 How far can you really expect your two-way radio to communicate? This is a common question with a couple different answers. Your radio will be able to communicate across varying ranges depending on the type and power of your radio, as well as your actual location. Many consumer radios advertise a 30-mile range, but the truth is that most basic consumer radios will not provide anything near this distance. 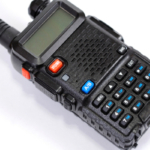 On average, a standard two-way radio is capable of communicating around half of a mile to 2 miles. Knowing how far you need your radio to communicate is key to finding a radio suitable to your requirements. For instance, a 2-watt radio with a long antenna is going to offer greater range than a half-watt radio with a short antenna. Why Is My Two-Way Radio Not Providing The Advertised Range? The range provided by a two-way radio identifies how many miles you can communicate across, although the advertised range may dramatically vary from the actual range you are getting. That’s because in most instances you are not in the ideal location for a two-way radio to function at peak performance. This is a very common problem that individuals and corporations encounter. Large trees or surrounding mountains that interfere and block signals, decreasing range capabilities. Buildings and other man-made structures can also interfere with reception, including a mass of walls if you are trying to communicate from within a building. 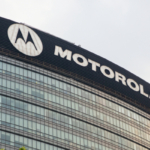 The ideal terrain for using two-way radios is flat and largely free of obstructions. When situated in the middle of a lake you will notice an increase in two-way radio range due to a lack of obstructions. The top of a mountain serves as another great location, especially if you are trying to contact people in the valley below. Of course, these ideal locations are not typically a reality and so it’s important to be realistic when shopping for two-way radios. If distance is of great importance Wide Area communication networks might be exactly what you are looking for. 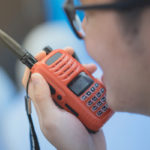 While radios have long been dominated by short-distance communication, the latest two-way radio systems offer far more versatility. Highland Wireless is one of the first to offer Wide Area radio communication in Florida. By synching your fleet of two-way radios to a Wide Area radio network you will enjoy a reliable 300 miles of radio-to-radio communication. The results offer crystal clear communication that literally sound like the person on the other end is right next-door. Businesses that require constant communication between vast distances find the latest Wide Area technology extremely beneficial, as well as reliable. 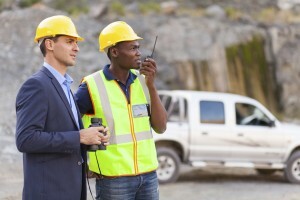 In fact, Wide Area communication is a game changer in the two-way radio industry. Make sure your battery is fully charged in order to get as close to the maximum range as possible. When the battery gets low the transmission power naturally decreases. Make sure you are tuned into GMRS channels if you are using a radio that supports these channels. In general, consumer radios support 22 channels including a mix of FRS and GMRS. Channels 1 through 7 are designated to both FRS and GMRS, while channels 15 through 22 are used exclusively for GMRS. Channels 8-14 are designated to FRS. According to The Federal Communications Commission (FCC) you must have more than a half-watt of power in order to access exclusive FRS channels, which are still considered “low-power.” If your radio is relying on FRS channels, it is emitting a low power signal. Switch your two-way radio to the highest power mode. Many radios offer a low and high power option. If you need greater range the high power option is your best bet. If you are pushing the limits offered by your radio’s range, switch your radio to “monitor channel.” This feature allows you to pick up things it would otherwise filter out and ignore. Switching this feature on may allow you to hear a good deal of static but you may also be able to pick up messages that are too weak to come across when the radio is switched to normal mode.